Due to work, I had very little time to finish some of my building WIPs. Now that my short-term contract is up for that job, I got a little spare time to finish them. This one was inspired by the red siding that came with the game and to also test out the roofing and to see what I could do with it. So this is what came out from that. Its a traditional colonial design with a gambrel roof capping off a 4 bedroom, 3 bathroom, contemporary interior house. There is an activity room, open-plan kitchen/diner, an open office and music room. It is for those that like classic design, but with a contemporary twist. 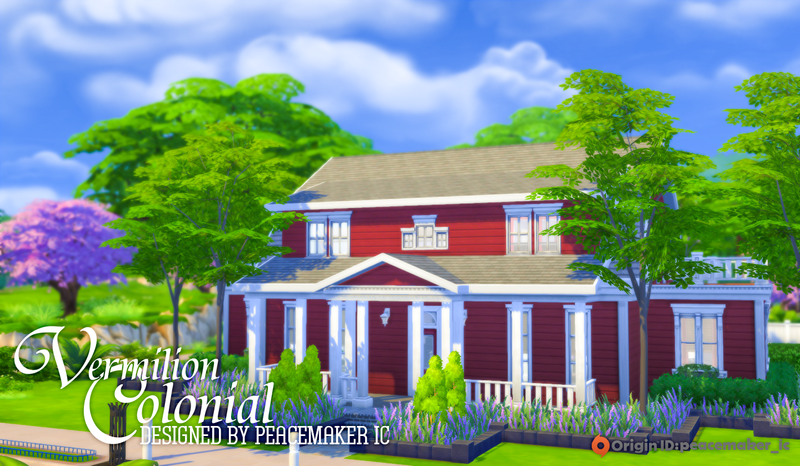 You can find it in the gallery by searching for my Origin ID: peacemaker_ic or the hashtag #VermilionColonial, #PeacemakerIC, or #SimsationalDesigns. Check out the map picture (last in the slideshow) for the location this house was built for, however you can place it on any 30x40 lots. This is a busy weekend for sharing creations. 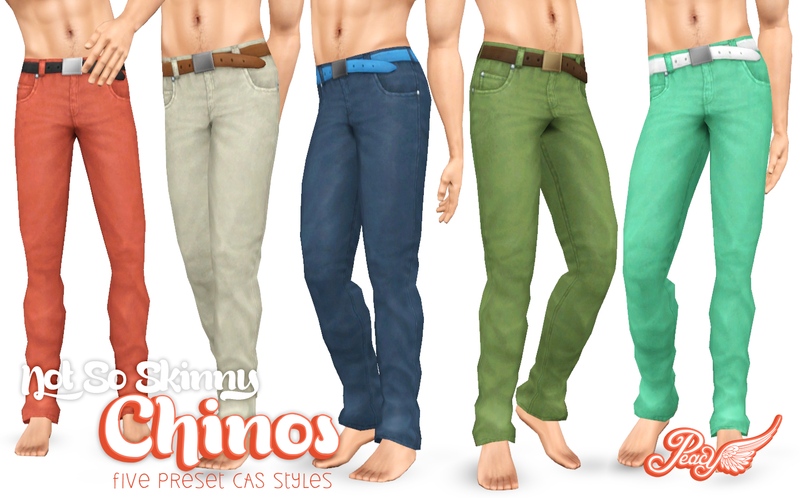 There was my followers gift of 6 items yesterday, and now for my first TS4 CAS creation! This is actually out of my comfort zone, but I really wanted the female Pompadour hair for guys. 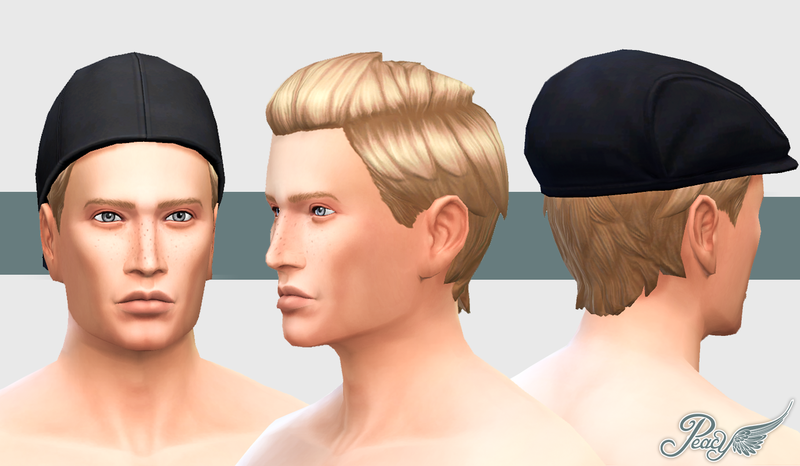 I actually found one that was converted, but seeing it in-game, it was just too high (EA loves poofy hair). So I decided to convert it myself and edit it to be a bit lower. The process of converting shorter hairs actually requires importing into Milkshape to fix tiny issues like the back of the neck and the forehead/cheek area due to the different shape of female and male heads. 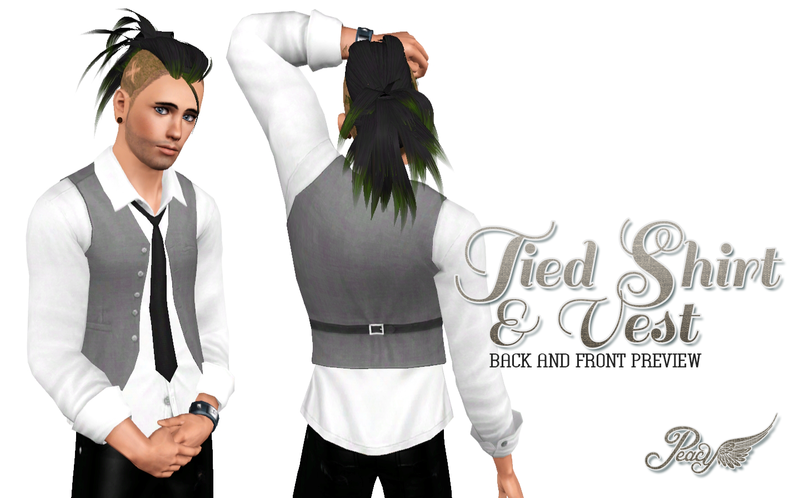 So it was a little extra work, but looks awesome in my game and is one of my fave hairs now. 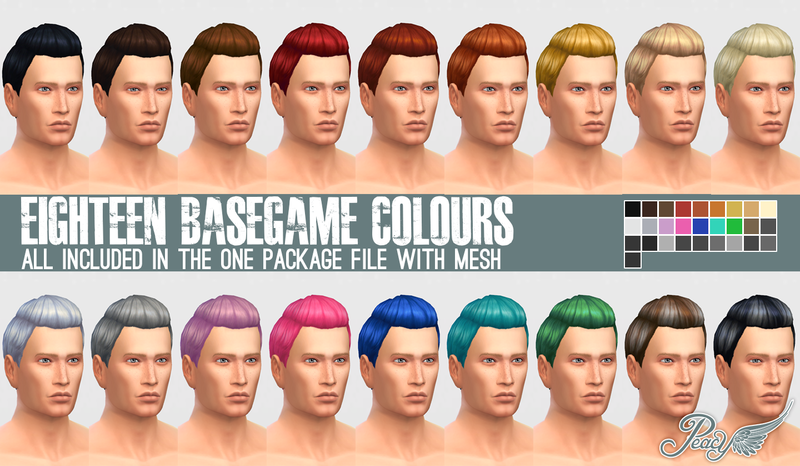 There are 2 separate downloads for this hair, the package containing the mesh and basegame textures, and an additional package for the 10 recolours. You need the mesh file for the addon colours to work. So if you want all the colours, download both files. The archives also contain the colour preview images for reference. I really like Henley shirts. 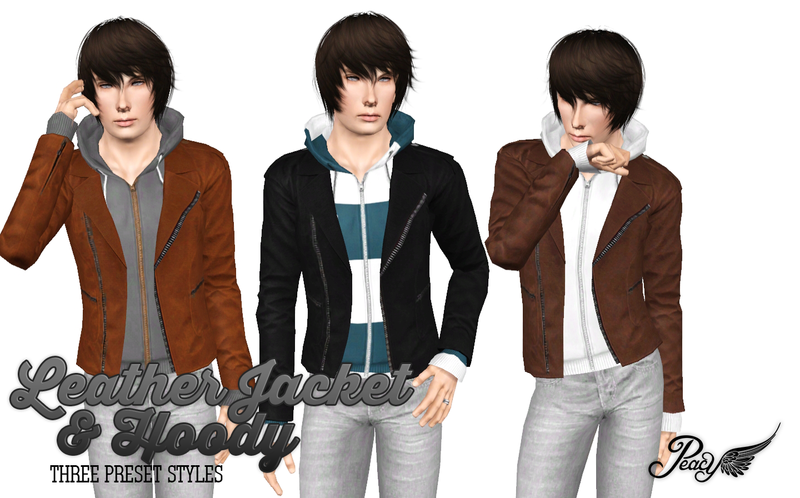 I have made quite a few for TS3 but they have all been retextures rather then the mesh the texture came from. The Henley was developed from the modified texture of the long-johns that came with Pets. 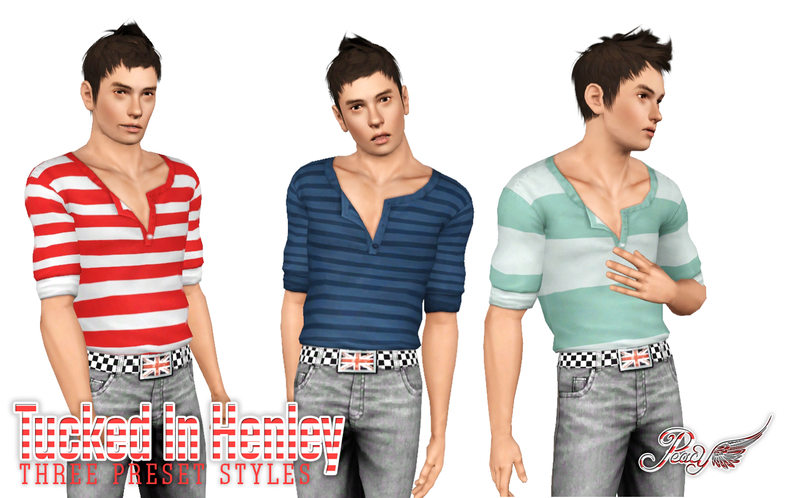 So with this mesh, I decided to take the long-johns and turn them into a heley shirt with the 3D details. 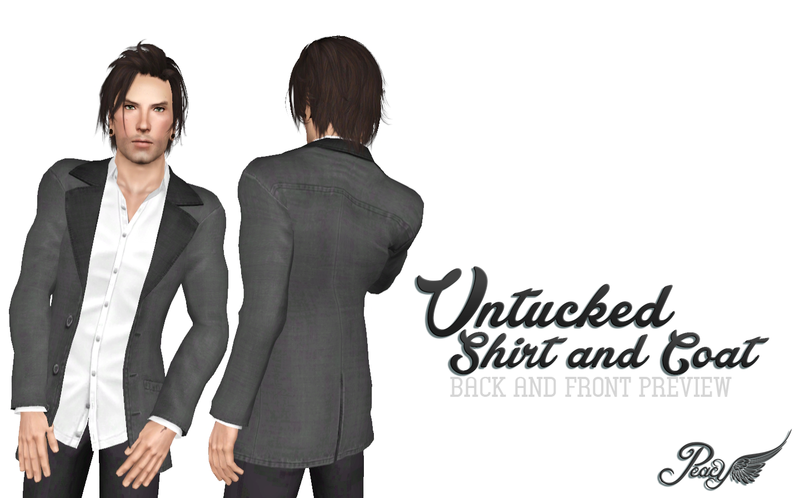 I had to make it a tucked in Henley though, due to UV map space restrictions. Even with that compromise, I think this turned out really well and is only of my fave shirts now, especially paired with my union jack or hobo-no-more jeans. These are no designed for lowrise jeans though, so if you want to pair them with that, you will need an accessory undershirt. 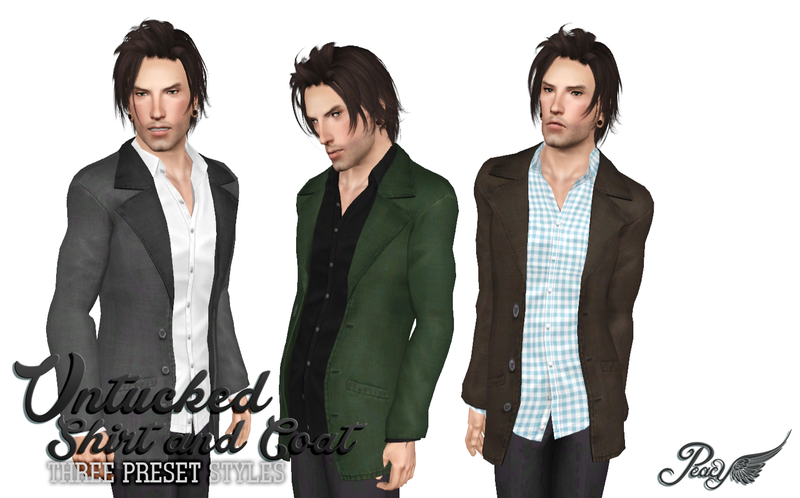 I really think trench coat, or any coat, are not a common site for guys in TS3. So I wanted to rectify that, even if its only one addition. I also wanted a more casual version, and this is what I came up with. I am really happy with the outcome, it is both formal and casual. I love using it. The collar on this top is not perfect, it has bone assignment issues and that is due to the base mesh I used. I tried to make it better, but its as good as it is gonna get. Its really only apparent when the neck is moved to the far left or far right. The archive contains both the sim3pack and package files along with the preview image. Choose your preferred file type, then you can delete the rest. I like ties, but I hate how they are really only used with really formal outfits or with short sleeve shirts. Honestly, tell me the last time you actually saw a guy wear a tie with a short sleeve shirt. Don't know? Me neither. 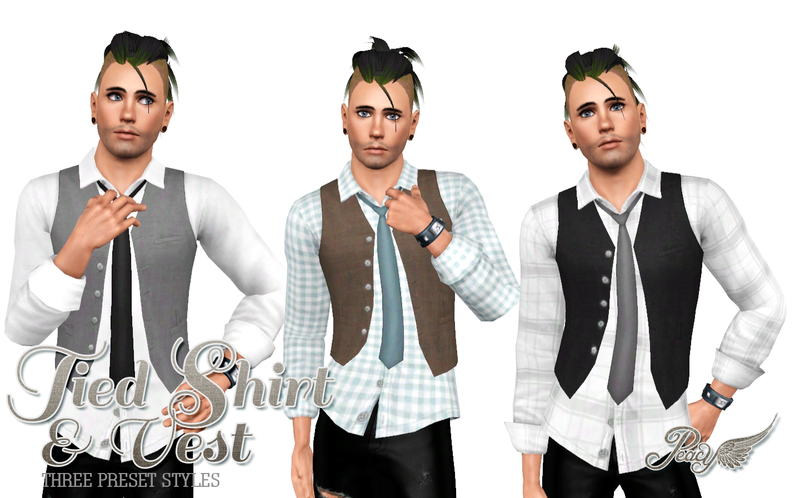 I also love vests too, so I grabbed 2 store meshes and 2 game meshes, worked my Frankenstein magic and this is the end result. Not bad at all if I do say so myself. The archive contains both the sim3pack and package files along with the preset image. Choose your preferred file type and you can delete the rest. 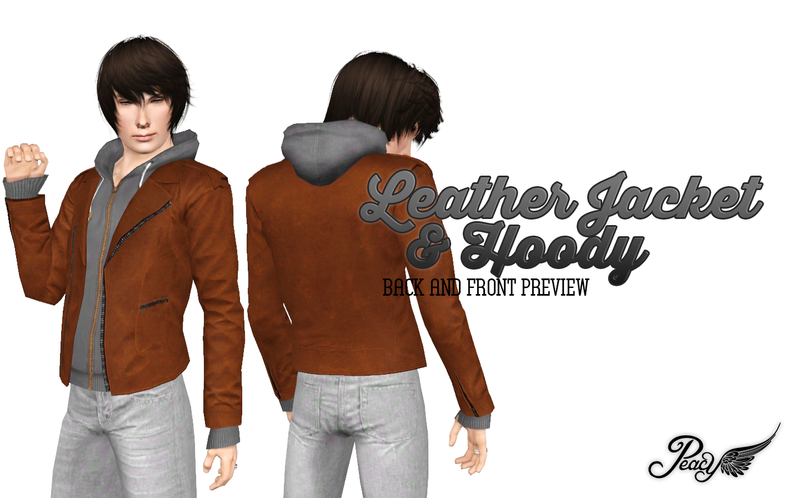 Today I bring you you and edit of an outfit that came with the sportwear set from the store. I converted and edited the vintage basketball outfit to be a bottom-only part of shorts with a 70's feel. I really like how they turned out, even though they are probably not everyone's style. I tried. I really, really did. 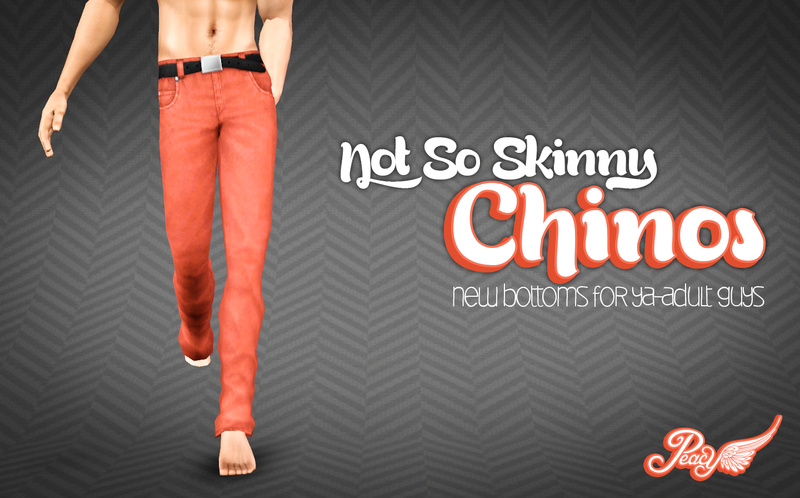 But I just can't bring myself to make skinny fitting pants. This was yet another attempt at trying to make pants that tuck into shoes. They just looked so odd, so I made these instead. So the name changed to reflect it. These were the awesome showtime rolled up pants with the 3D belt, which I added the buckle and new bottoms (because i don't use rolled up pants in my game). I am really happy how they turned out, and its a nice change from all the jeans I have made. I have finished my new navigation system (since blogger really doesn't make it easy). The new menus are (hopefully) easier way of navigating my blog. 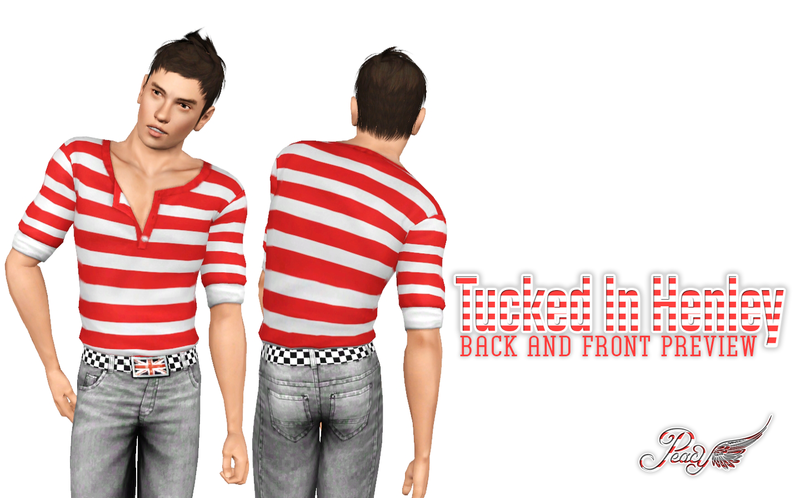 Above you will find TS3 and TS4 links that are broken into items and CAS sections. 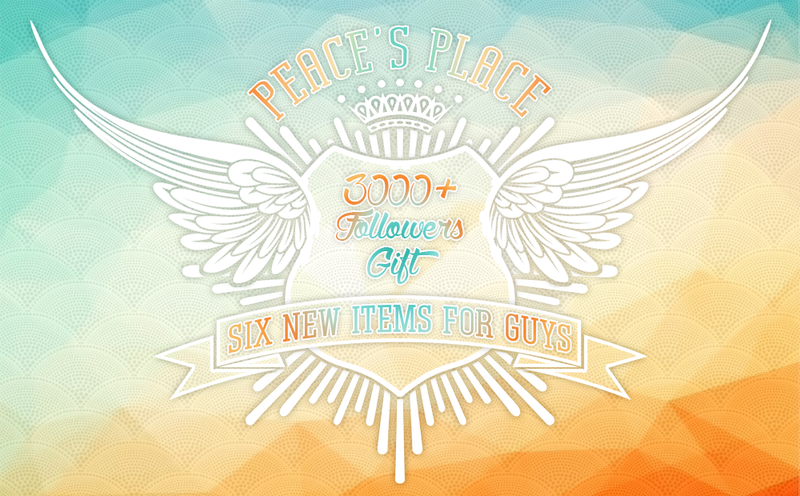 The link names are hopefully self-explanatory where you will be directed to the content tagged the same way. 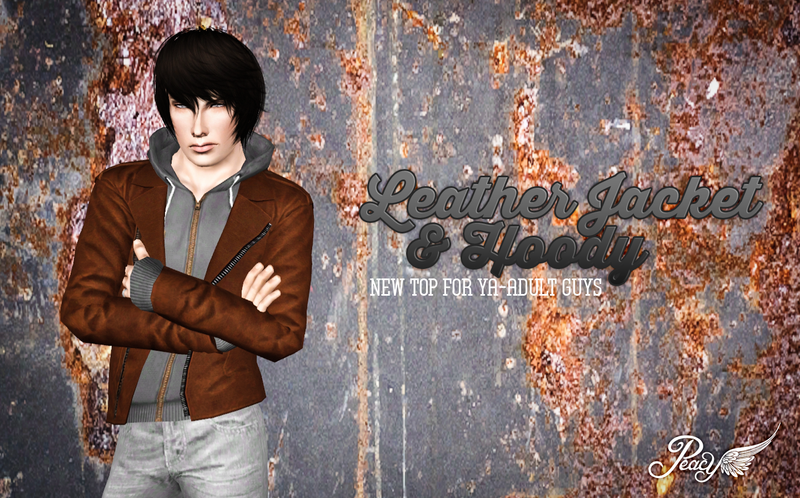 I was considering a catalog, but that may come at a later date if i deem it necessary. 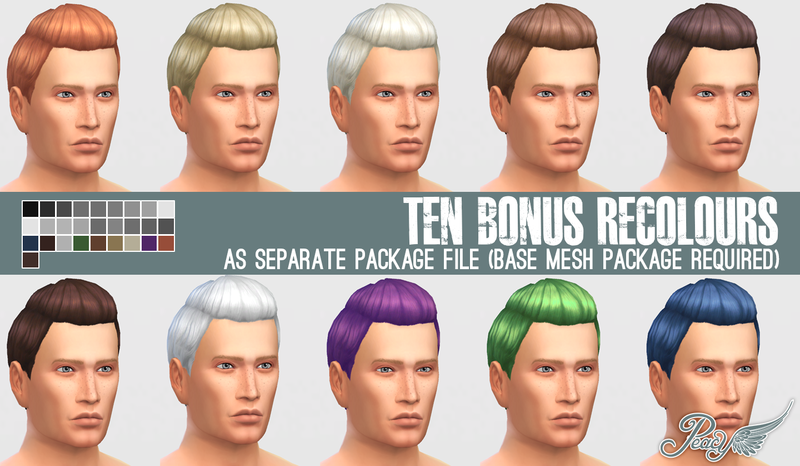 The TS4 sections will mimic TS3 but will be expanded as new content is added. You can also find my tutorials and Misc links as well as other places you can find me. I think this was the perfect way to clean up unwanted clutter and organise this place. I really wanted sub sub-menus, but I couldn't find a good code or do it myself, so this is the compromise. It does mean everything is just a hover and a click away though. If you have any problems or can't find anything let me know by leaving a comment here. 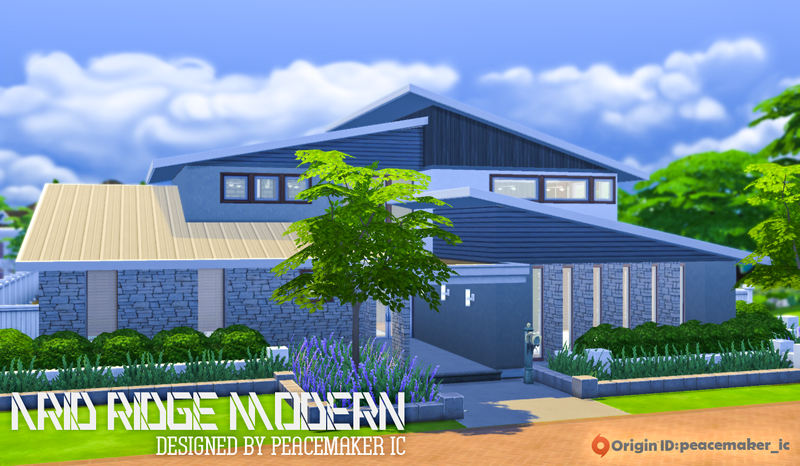 Today I bring you another house I have been working on, a modern Aussie home. The house is designed to have an open plan concept, with a large kitchen/dining and living room combined, a separate home theatre and an activity room. The master suite has its own bathroom with the kids relegated upstairs. It features 4 bedrooms and 2.5 bathrooms. The lot price is listed at $178, 571 and the location I placed it can be found on the map image in the slideshow. It also works well in Oasis Springs. Just wanted to let you all know I am making a few changes to this blog, mainly for organisational reasons. I am currently in the process of coding a new dropdown menu system which is currently not finished so no links will work. Bare will me until I finish it. You can still use the siteas normal using the labels or pages section. Shouldn't be too long until this small update is finished, but hopefully it will make navigation so much easier!